Ventilatory flow is driven by pressure differences between the alveoli and the atmosphere. In normal individuals at rest, active contraction of skeletal muscle generates this pressure difference during inspiration. In contrast, expiration at rest results from passive elastic recoil of the lungs. FIGURE 1 During inspiration (I) the diaphragm contracts and flattens, and external intercostal muscles raise the ribs to expand the thoracic volume. During expiration (E) the diaphragm relaxes to its domed shape and external intercostal muscles pull the ribs down to decrease thoracic volume. thoracic and abdominal cavities. Contraction of the diaphragm flattens the floor of the thoracic cavity so that the lung increases in height. The external intercostal muscles also contribute to inspiration. Intercostal muscles are innervated by intercostal nerves from thoracic segments of the spinal cord. Figure 1 also shows how the external intercostals move the ribs upward and outward during inspiration to increase the diameter of the thoracic cavity. 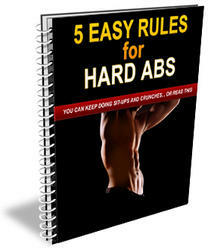 The abdominal muscles are the most important muscles of expiration. These include the rectus abdomi-nis, internal and external oblique muscles, and trans-versus abdominis, innervated by lower thoracic and lumbar spinal nerves. Abdominal muscles pull the ribs downward and squeeze the abdomen to increase abdominal pressure below the diaphragm. This moves the diaphragm upward and decreases thoracic volume. The abdominal muscles are also important for the respiratory act of coughing and nonrespiratory acts of vomiting and defecating. Internal intercostal muscles contribute to expiration by pulling the ribs downward (Fig. 1). Accessory respiratory muscles include both inspira-tory and expiratory muscles that are recruited at high levels of ventilation (e.g., during exercise). These muscles can also be important for ventilation in patients with abnormal diaphragm function. Accessory respiratory muscles include the scalene muscles, which lift the first two ribs, and the sternomastoids, which lift the sternum. Upper airway muscles in the pharynx and larynx also contract in phase with breathing and are important in determining airway resistance. Inspiratory activation of pharyngeal muscles innervated by the hypoglossal nerve stiffens the soft palate and holds the tongue out of the way for breathing. Laryngeal muscles innervated by the recurrent and superior laryngeal nerves dilate the airway during inspiration, mainly at the level of the vocal cords. Dilation of the nares by the alae nasi can also decrease resistance to airflow, but larger decreases can be achieved by switching to mouth breathing.